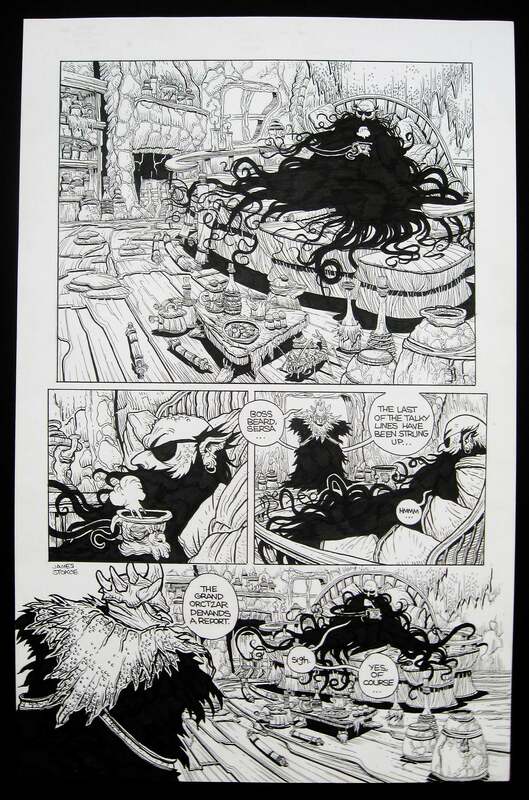 Here’s yet another recent addition to our art collection; it’s a signed original page from the fourth issue of James Stokoe’s Orc Stain (July 2010). I’ve included a scan of the full-colour published version of the page for comparison. Sorry the bottom corner of my photo of the original art is a bit out of focus. I’ll try to do better next time. 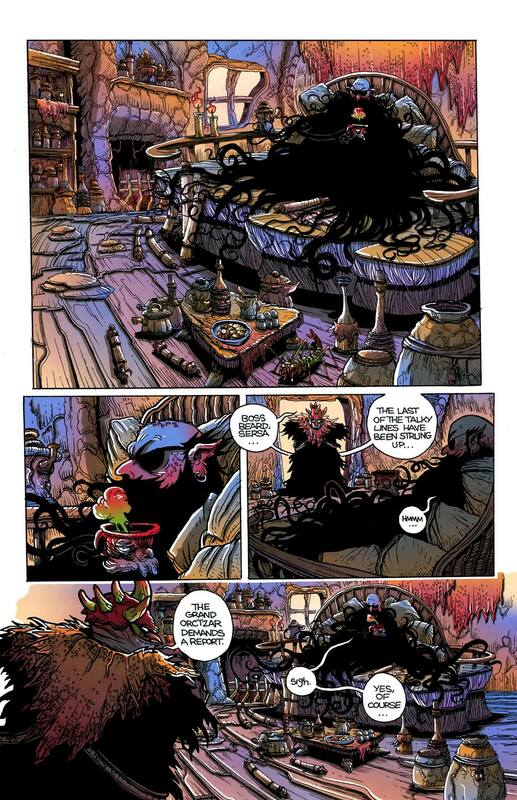 Pages from James Stokoe’s Orc Stain can be purchased online from McConnell Art.